A famous cultural and historic area in Central London is Covent Garden. It is a district located in West End, between Drury Lane and St Martin’s Lane. Most of the times, it is associated with central square’s old vegetable and fruit market. Currently, it is a popular tourist and shopping site. 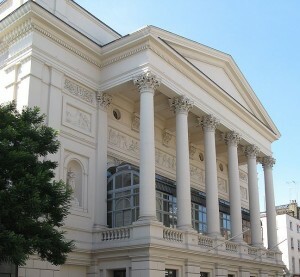 The Royal Opera House, simply called Covent Garden, is also symbolic for the district. The Long Acre thoroughfare divides the Covent Garden district in two. The southern area includes the entertainment facilities, the theatres, the elegant buildings (London Transport Museum, Drury Lane and Theatre Royal) and the central square with the street performers. Until the 16th century, the area that now accommodates the Covent Garden was covered by fields. When it was converted into the heart of Lundenwic, it was settled down. It became the property of Westminster Abbey in the 13th century and it was transformed into a square around the 16th century. The Italianate arcaded square was designed by Inigo Jones. He also designed the St Paul’s Church located nearby. The square and its design were extremely innovative for that period and they were influential for the future modern town. The district of Covent Garden comprises a large selection of landmarks, the most renowned being the Royal Opera House or the Covent Garden. It was built in 1732 and at the time it was known as the Theatre Royal. The design was signed by Edward Shepherd. In the beginning, the theatre served as a playhouse. A couple of years later, it also presented ballet, spoken drama and opera. The present structure is the 3rd built on the former site. The Covent Garden Square or the Covent Garden Piazza is also a major attraction. It was laid out in the early 17th century, in 1630 and it represented London’s first modern square. Currently, it is a significant tourist and shopping site. While in Covent Garden, you should also visit the London Transport Museum. It is a Victorian glass and iron building and it features a large collection of rail vehicles, trolleybuses, trams and buses. Finally, don’t miss the St Paul’s Church, dating from 1633. Later, it was reconstructed in Victorian and Georgian styles. There are more than 60 bars and pubs in Covent Garden and numerous street performers that will keep you entertained. In order to get rail transport from London Gatwick Airport to Central London, you have to take the National Rail untill Clapham Junction. From Clapham Junction Station you can take another train to Central London. There are also other transfer options such as using a transfer service from Gatwick Airport or Clapham Junction to Central London. So as to travel by car from London Gatwick Airport to Central London, you must take the A23 road and the M23 motorway. London Gatwick Airport is 28.3 miles away from Central London. A London Gatwick transfer to Central London with 247 Gatwick Airport Transfer is going to last around 1 hour and 20 minutes. The price for a transfer service from London Gatwick Airport to Central London starts from 58 GBP.